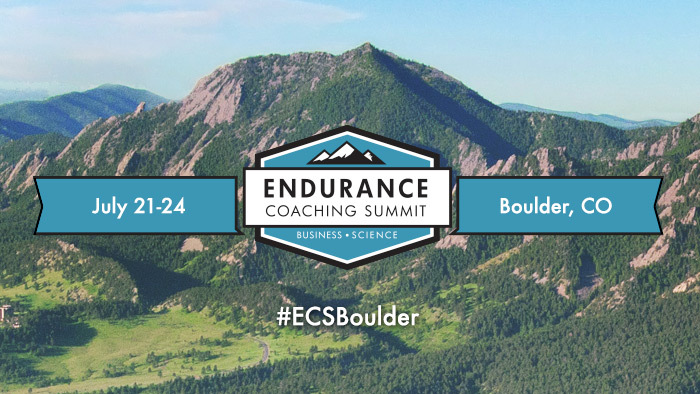 Off the success of last year, TrainingPeaks is happy to announce the 2016 Endurance Coaching Summit (ECS) will be held at the University of Colorado, July 21-24 in Boulder, Colorado. ECS provides a unique blend of business and science topics for endurance coaches to expand their knowledge and learn new ways to grow as entrepreneurs. With over 170 endurance coaches attending last year’s event, the 2016 Summit will build off the same successful format and add valuable hands-on sessions. ECS will cover the key business challenges faced by today’s coaches to give them the tools needed to grow their businesses. Keynote speaker Allen Lim will discuss the business challenges and lessons he has learned while starting Skratch Labs. Presenters Heather Blackmon, Brian Holcombe, Robert Reich, and other marketing experts will cover topics focusing on finding new clients, marketing best practices, and creating an optimal social media strategy. Attendees will also gain practical insights into the latest research and science-based strategies. Keynote speaker Dr. Andy Pruitt will discuss the evolution of sports science and where it is headed. Coaches will also learn about the latest in physiology, training with data, athlete psychology, and sports nutrition from industry experts including Neal Henderson, Joe Friel, Carrie Cheadle, Jim Miller, and others. New for 2016, ECS will include daily small breakout sessions in partnership with the University of Colorado Sports Medicine and Performance Center. CUSMP’s internationally renowned staff will give coaches insights on topics including cycling and running biomechanics, swim stroke analysis, physiological and metabolic testing, and sports nutrition using the most advanced sports performance technologies. Coaches will also have the opportunity to network with some of the industry’s best coaches, brands, and thought leaders. All USA Triathlon, USA Cycling, and USTFCCCA certified coaches will earn CEUs for attending.